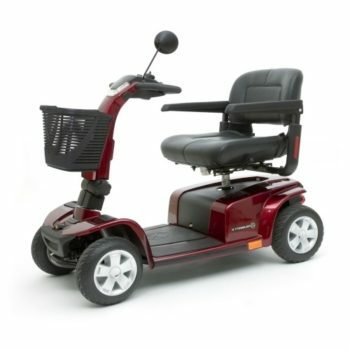 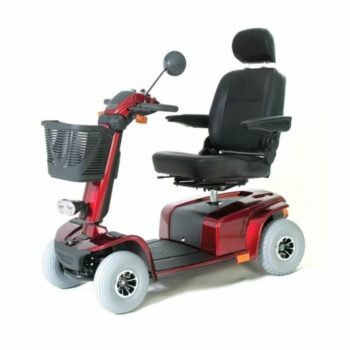 A medium size four wheel scooter with a fully adjustable contoured seat and adjustable coil and shock absorber suspension. 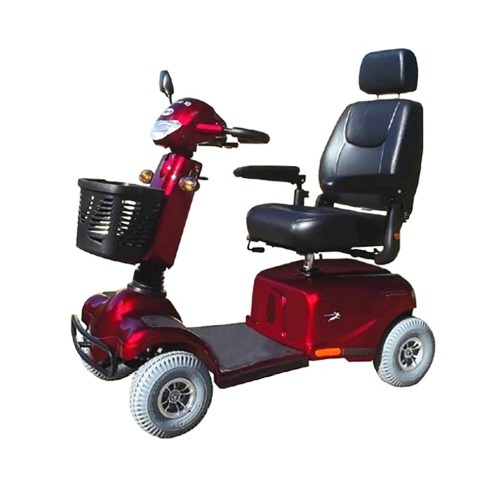 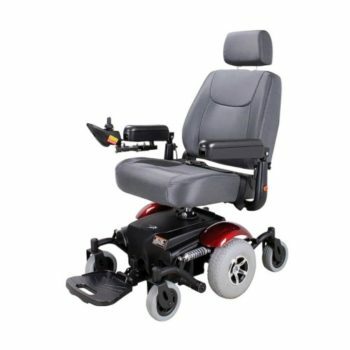 Other features include loop handle bars, finger or thumb throttle operation and a built in half speed safety switch which operates automatically when turning. 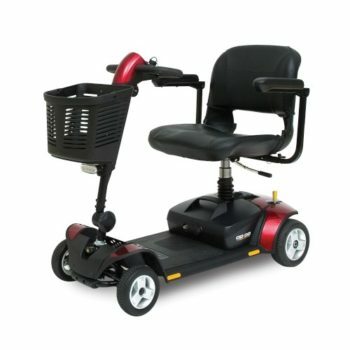 The scooter is suitable for outdoor use.